Songwriter/Singer Thisbe Vos has just released her 2nd CD, "Under Your Spell" and as soon as you hear it you will be under her spell! This wonderful woman was born in the Netherlands and has an impressive resume for her young age. She started working with a British swing band, "The Jive Aces", and toured with them across Europe, Canada and the United States. Thisbe recalls, "I was the girl singer in the band, and did Louis Prima/Keely Smith type of duets with the lead singer and some ballads on my own". 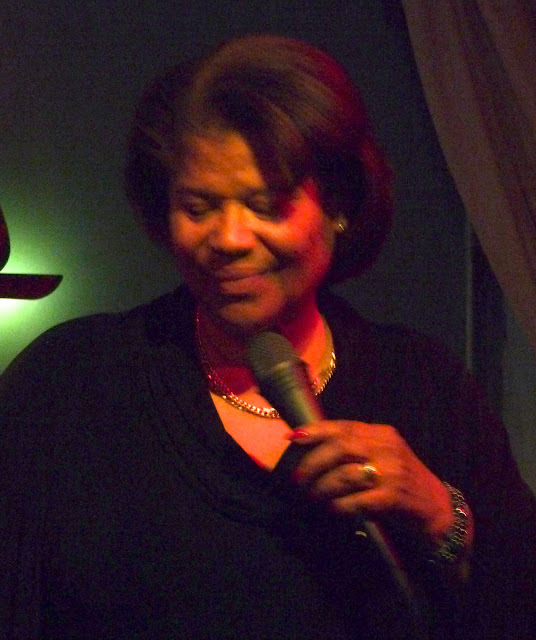 In 2008 she moved to LA to work on recording a solo album in the style of traditional Jazz, featuring both classic Jazz standards and original songs she had been working on over the years. She released her first solo CD in September of 2011. An excellent CD that contains six standards and six original songs. Thisbe Vos is a terrific singer with a soft velvet voice that is both sophisticated and elegant. But her greatest talent may be in her songwriting abilities. According to Thisbe, "As a songwriter, my influences are the songs of Irving Berlin, the Gershwin brothers and Cole Porter amongst others". Now that is setting the bar about as high as you can get, and, yet, Thisbe's songs and especially her lyrics fit perfectly among the standards she included in "Under Your Spell". This is an excellent album from a polished musical talent. Thisbe Vos is destined to become a major national musical star. 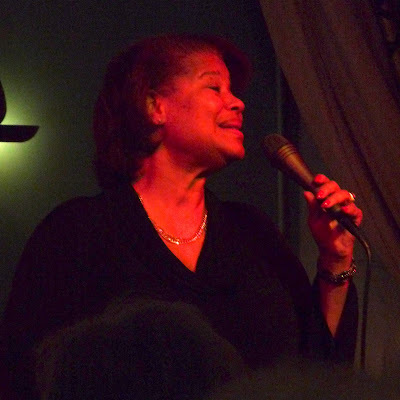 Tuesday night Sherry Williams performed with Andy Fraga Jr. on Drums, Larry Holloway on Bass and Keith Droste on Keys at Woody's Burgers and Beer in Palm Springs. This was the first time I had the opportunity to hear Sherry sing. I also had not heard Keith Droste before tonight's performance. Tonight, Sherry was sitting in for the always great Brian Nova. Sherry Williams has a strong but soft voice that has hints of Ella, Sarah and my personal favorite, Nancy Williams. Her style, stage presence and timing are impeccable. I have mentioned before in several blogs that only the very best singers perfect the ability to interpret a lyric and make it come alive. 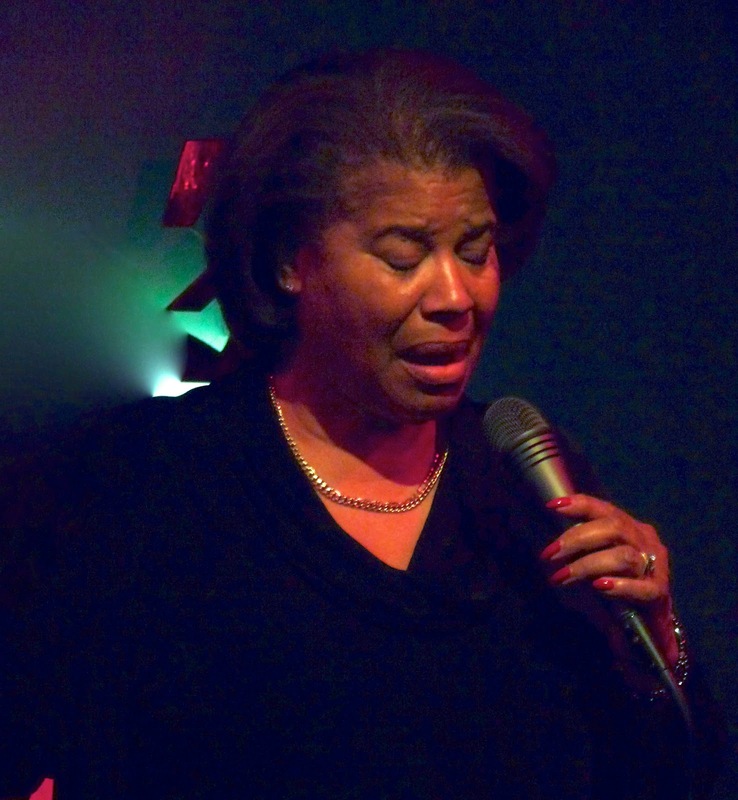 Sherry Williams is a charter member of this special group of singers. Sherry brings her own personal interpretation to lyrics and then paints a picture of the story the composer had in mind when the music was written. Tonight Sherry sang the song that I have rated the number one song in the "Great American Songbook" The Nearness of You". I honestly have never heard anyone sing and express the lyric any better! Tonight was my first experience with Sherry Williams, and I am now in love with her! Sherry is a big supporter of Jazz and she hosts a different Jazz group every Thursday at "The Merc" in Temecula. You can get more information and tickets by going the the Old Town Temecula Theater online site: Http://www.Temecula Theater.org. Tickets are a bargain at only $15! There are levels of Jazz performance at every live Jazz event and tonight Andy Fraga, Jr., Larry Holloway and Keith Droste performed at the highest level adding to this superbly-enjoyable evening of Jazz. 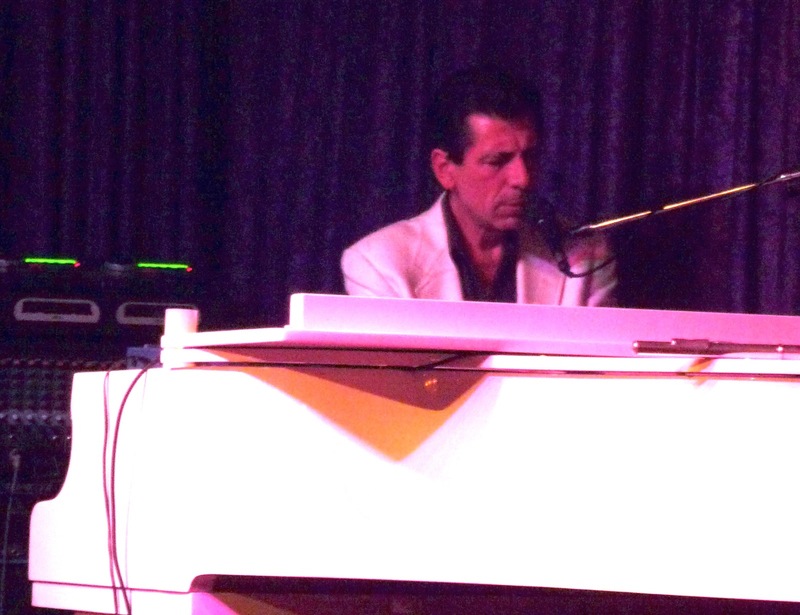 In particular, Keith Droste was especially impressive on Keys. I hope of get to hear more from Keith in the near future. Adding to the night's excitement, everyone's favorite, Yve Evans came to hear and support Sherry. To the audiences' delight, Sherry invited Yve to sing with her. It's clear that Sherry and Yve have a strong mutual respect and admiration for each other. In addition, they both are sensitive and caring people. The supremely-talented singing McCrary Sisters, Alfreda, Ann Deborah and Regina have scheduled the release of their 2nd CD, "All The Way" on April 30, 2013. This CD is a follow-up to their 2011 debut CD, "Our Journey". "All The Way" was produced by Kevin McKendree & Tommy Sims and it includes 10 McCrary Sisters' original songs, plus take on the Tom Hambridge/Gary Nicholson gem, "Skin Deep". They also recorded a new song written by Bonnie Bishop/Jimmy Wallace entitled, "Right Where You Are". In a previous blog I mentioned how I admired the song writing skills of Bonnie Bishop, and this song proves she is still going strong! Joining The McCray Sisters on "All The Way" are some exceptional musicians: Rob McNelley/Akil Thompson/Tommy Sims (Lead Guitar), Kevin McKendree/DeMarco Johnson/Jeremy Nixon (Keyboards), Dwan Hill (Organ), Quentin Ware (Trumpet), Dana Robbins (Saxophone), Steve Mackey/Anton Nesbitt/Tommy Simms (Bass), Derrick Phillips (Drums). It's hard to classify or define the genre of the music The McCrary Sisters create because it is part Gospel, part Soul, part Funk and a large measure of R & B. It is unimportant because these girls can sing! The theme of this CD tells the story of the continuation of The McCray Sisters' journey. The McCray Sisters' songs are inspiring as they sing of loving and living life and keeping a positive attitude through all that life brings. The Sisters were raised in a home where singing was always present and was reinforced in their church. While this is only the 2nd CD for the group, all four sisters have experience singing professionally in one form or another for years. The result of all this singing experience for these talented women has transformed their four voices into a powerful sound filled with passion and soul. This group is moving into national recognition, and this new CD will move them even quicker. Jacob Collier, Age 18 Proves That There Still Are Young Adults Who Do Know What Great Music Is All About! Jacob Collier singing "Isn't She Lovely"
I recently received a posting from a music blog I follow called "People vs. dr. chilledair" authored by Bill Reed. The topic of the blog was a story about a 18 year old singer/Bass player/Piano player/Guitar player and arranger named Jacob Collier. Jacob lives in London, England, and I was blown away by the musical talents of this young musician and wanted to share his great sounds with you. Jacob has several musical postings on YouTube and I urge you to check out all of them. He sings standards and also is very comfortable with contemporary tunes. I have attached two YouTube videos from Jacob. In the first one, Jacob sings his own arrangement of Stevie Wonder's "Isn't She Lovely" and in the second one, he sings his own arrangement of Jerome Kern's "I've Told Every Little Star". Jacob sings all six harmony parts in both videos. Jacob Collier is a musical wonder! Jacob Collier Singing "I've Told Every Little Star"
J. Crawford Reid is a Canadian who loves Jazz especially Jazz in the Coachella Valley and he is our guess author of this post. The Jazz Centre of the World--New York City? No. Birdland? No. I think the Jazz Centre of the World is the Coachella Valley in Southern California. My wife and I started regular vacations in Palm Desert 8 years ago. We went there for all the usual reasons, the weather, good dining, shopping and lots of nice places to see. We really didn't anticipate that Jazz would become a very important reason for returning year after year, in addition to all the other benefits of the area. Let me talk about some of the places and people that have so impressed us. First, without doubt, is the Backstreet Bistro, where it started for us. Perfect hostess, Lavane, perfect music, and really good dining! A must every Tuesday night. In that context, I have to thank Bill Saitta, who plays there often. A great Bassist, but also a great leader, and a guy who creates a lot of work for Jazz musicians. We have so enjoyed Jay Lewis' Drums and Steve Madaio's Trumpet. This year, a new guitar player, James Moody (not that James Moody), and some nights, Chase Huna, a teenage saxophone player who's getting better each year--may be the most perfect Jazz Club anywhere. At the other end of town, Vicki's! In addition to Jazz almost every night, they have great Sunday afternoons! A delightful Band with many different guest vocalists. In past years, we've heard some brilliant guest musicians who travel out from LA, like Dave Pell. The regular front line is Stan Watkins on Trumpet and Don Shelton on reeds. Don is a superb Saxophonist, but also a brilliant singer. He paid his dues in Singers Unlimited. On Bass in that band is Larry Holloway, one of the best Bass Players I've ever heard. This Band sometimes features the very good Tom Keenlyside, a transplanted Canadian. Tom is outstanding on Flute and Reeds. Are you starting to get the picture of the musical strength in this area? Across the street from Vicki's is the Indian Wells Hotel, which has good music several nights a week. Frank Di Salvo does a great Sinatra-type show, and on Tuesday nights, there is Ron Kalina on Piano and Harmonica, with again, the great Larry Holloway on Bass and Gino Antonacia on Vibes. One of the secrets of this Valley Area is that musicians and singers are welcome to sit in. It happens at all of the venues, and can make for a very exciting evening. 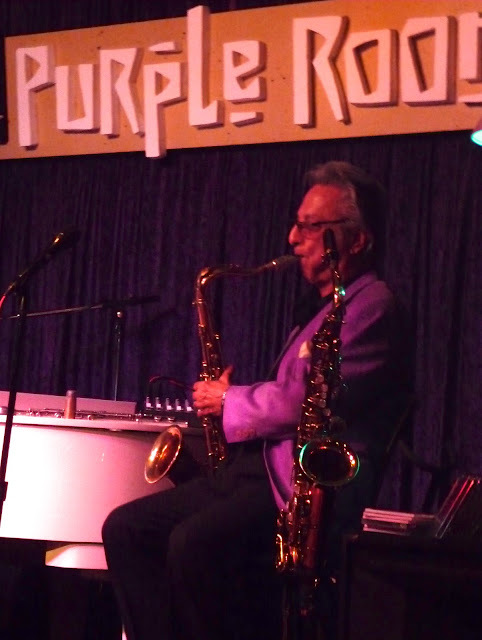 I haven't covered all of the places where good music is offered, but I've tried to give you a sense of why I think the Coachella Valley is the Jazz Capital of the world. This has happened for years. I hope it never ends! A long time friend of mine, now living in Iowa sent me a CD of a young singer he recently heard performing at the Tremont Theatre in Marshalltown, Iowa. He thought the singer was terrific and wanted me to hear her sing. The singer is Keri Johnsrud and she has been singing as a professional Jazz singer for the last 10 years. Keri is part of a third-generation of musicians. Her debut CD, "All Blue" was released in late 2009. Her voice could be described as cool with a Jazz flavor. Keri selected 10 wonderful songs for her CD that are a mixture of classic standards and country songs. Keri has her own style and approach to these songs that is soothing and refreshing. Keri has been working in Jazz clubs in Atlanta, Chicago and New York City and after you listen to this CD, the reason is clear. Keep a lookout if Keri comes to your neighborhood to perform, you won't be disappointed. I would love to see Keri do another CD in the near future! On Tuesday April 16, Jazz merged with Classical when Steve Madaio and Tom Keenlyside brought the KM Project's new CD, "Slices" to The Coachella Valley Symphony. The KM Project is an idea created by two dynamic musicians Steve Madaio and Tom Keenlyside. After meeting by chance in Palm Desert in 2010, they soon discovered that they had much in common. Shortly after their first meeting, Steve and Tom played a few gigs together and quickly realized that their individual phrasing made their music very compatible. The progress of their collaboration quickly moved as they began talking about the classic songs of the 70's and the impact these songs had on their lives. As soon as the songs were selected, they both worked on new arrangements for these classic tunes. The result is "Slices" their hot new CD. A chance meeting with Maestro Wayne Abravanel gave Steve the opportunity to discuss Tom's and his new project. As soon as Steve shared his story about the songs and arrangements he was working on with Tom, Wayne suggested that Steve and Tom perform with The Coachella Valley Symphony incorporating the songs on the CD; and this is how "A Symphony of Rockin' Jazz "was born. Playing to a capacity audience consisting of both Classical and Jazz followers, the concert was wildly appreciated. What was somewhat surprising to me was that as each song was announced, there was an spontaneous reaction of recognition from the audience. These songs of the 70s obviously brought back memories for so many people. Jazz met Classical and we all were winners because we got to experience it live! I hope that Jazz and the wonderful Coachella Valley Symphony continue their partnership next season. 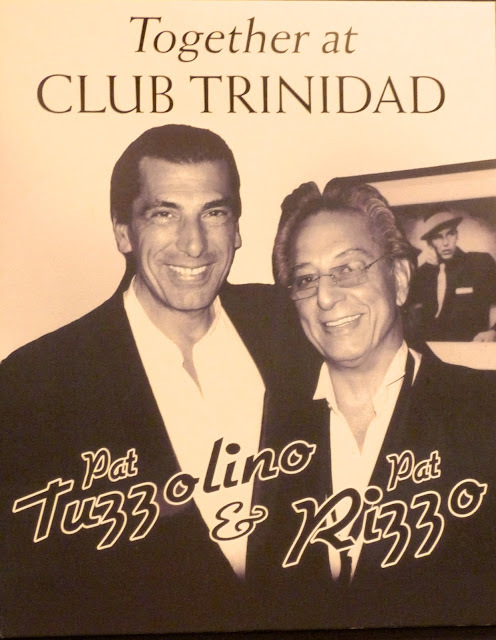 I heard Patrick Tuzzolino sing and play piano for the first time at the Rizzo/Tuzzolino gig at the Purple Room Lounge last Sunday and I wanted to hear more from Pat. 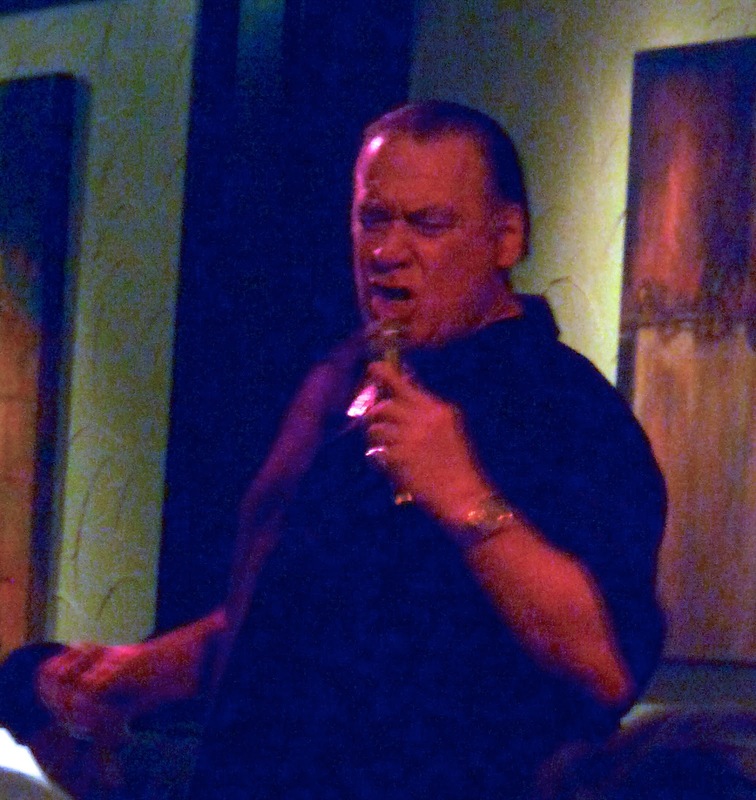 So I went to Castelli's Ristorante in Palm Desert where Pat performs Wednesday through Saturday. My first reaction about Pat proved to be on target. Sitting at one of the high-top tables in the bar area gave me the opportunity to see Pat close-up. He is a terrific musician. He plays great piano and has a deep golden voice that when applied to great American standards it is hard to not be impressed. What I especially liked about Patrick's singing is that he does not try to sing like the great vocalists who came before him. He blazes his own vocal trail in his own unique style. His voice is like velvet, and I am sure that even if Patrick sang names out of the phone book it would great! Patrick was born and raised in New York City, came to California and became part of the LA music scene. 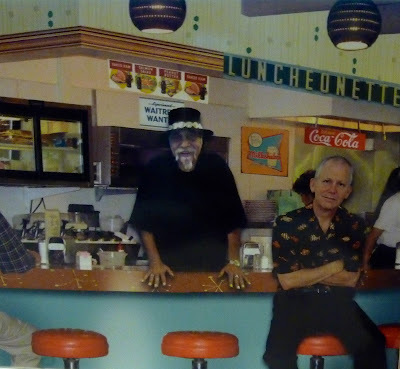 While in LA he got to play with a lot of the musical greats like Pete and Conti Condoli, Ross Tompkins and Eddie Shaughnessy. In 1991 Pat headlined in Las Vegas at the Aladdin Hotel Casino playing alongside Slide Trombone player Carl Fontana and the great Sax player, Sam Butera. 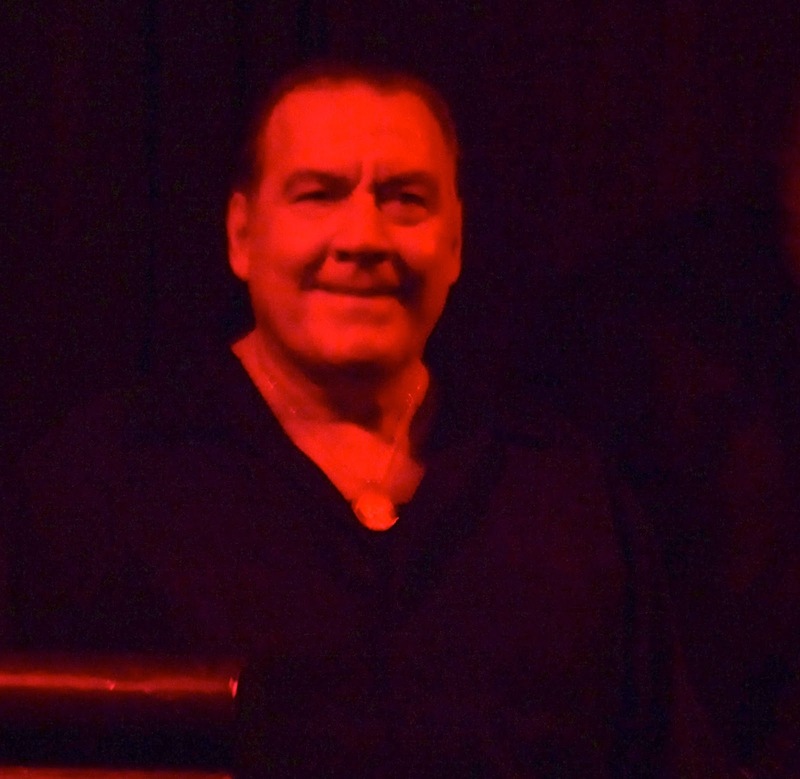 It was while Pat was working in Vegas that he met his now long-time-friend, Pat Rizzo. I learned that Patrick, in addition to playing piano and singing, plays major league guitar and, in fact, he joined Jack Jones at a recent gig Jack did at Feinstein's in New York. Patrick also has had a long career writing TV commercials and his own charts for some of the classic songs out the of the "Great American Songbook". 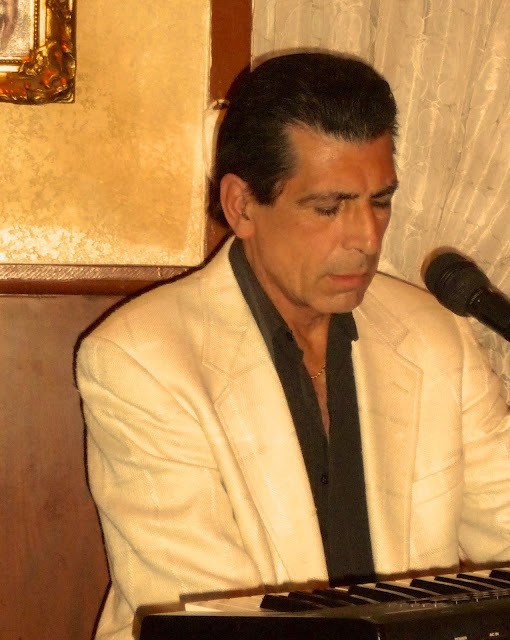 Patrick Tuzzolino is a musical treasure to all music lovers here in the Desert. 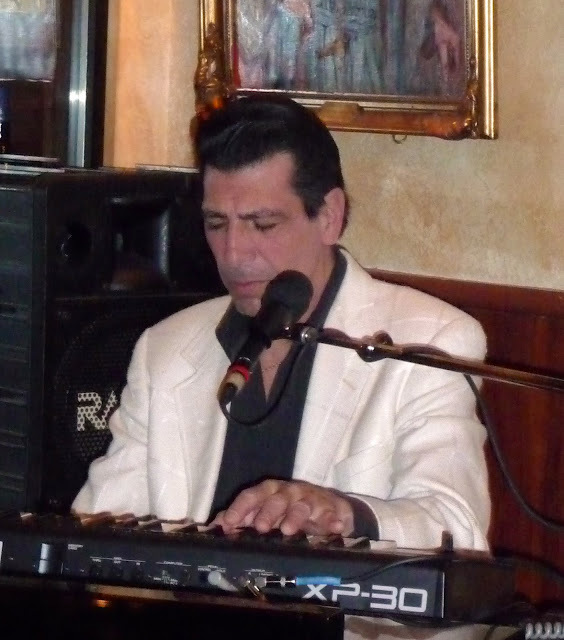 When you go to hear Patrick play at Castelli's Ristorante you might want to reserve one of the high top tables in the bar area. The view and sound from this location is perfect if you really want to be into Pat's music. Castelli's Ristorante has been around for a long time and it is a great place to dine and hear wonderful music . It has a comfortable feel due to the excellent staff, the food is as good as any Italian food you can get even in the New York area, The maitre d', Ron Kostas made us feel at home as soon as we entered the restaurant and our server, Robert Callister was attentive and friendly. Put Patrick Tuzzolino and Castelli's on your "To Do" list, you won't be disappointed. I have a treat for you below, a YouTube video of Pat singing "I'll Remember April" live! Pre-Release CD Review: Steve Madaio and Tom Keenlyside Release "Slices"
Question: What do you get when you put a world class trumpet master with a world class flute master and then mix them together with eight great songs from the sixties and seventies? The answer is "Slices" one of the best CD's I have heard in many years! It is with great pride and pleasure that I had the opportunity to review a new CD from two of my favorite musicians and friends from the Coachella Valley in the California Desert. This CD has been cooking in the minds and hearts of Trumpeter Extraordinaire Steve Madaio and the Great Flutist and wind player Tom Keenlyside for a long time. Both of these highly talented musicians earned their musical stripes playing and listening to the music of the sixties and seventies. Although their talents expanded since that time, there is still something about the songs of that period that never left them. Indeed, if you enjoyed the sixties and seventies, I won't have to say anything more about the 8 wonderful classic songs that Steve and Tom have selected for their first album. Every song on this CD is a dream catchers for this generation. These songs revive fond memories about our life experiences during these times. There were hundreds of songs that could have been chosen for this CD but Steve and Tom spent over two years culling the potential list of songs down to just the absolute eight best songs. The CD begins with a perfect mix of Trumpet and Flute playing the Procol Harum classic, "A Whiter Shade of Pale". This song recorded in 1968 was and still is a classic sound of the sixties. I admit that I have no idea what the lyrics mean but hearing the song now as an instrumental, leaves no doubt that the melody is still a gem! The second cut on the CD is the Rolling Stones Classic, "Sympathy For The Devil" written by Mick Jagger and Keith Richards. My guess is that this unusual song was picked by Steve since his relationship with "The Stones" goes way back to early 1960s when he joined "The Stones" on their European tour. I would love to hear the reaction from Jagger and Richards after they hear this rendition of their song! Next up was the popular hit for Herb Albert and the Tijuana Brass, "The Lonely Bull" written in 1962 and still wonderful to hear today especially the warm tones from Steve's Trumpet. The forth cut is the "Steppenwolf's" 1968 hit "Born To Be Wild". This song represents much of the culture of the sixties for teens who yearned for more personal freedom in their lives. The fifth cut is "Theme From A Summer Place" recorded in 1960 by Percy Faith and his orchestra for the film of the same name. "A Summer Place" starred Sandra Dee and Troy Donahue and everyone experiencing this period knows and loves this song. The recording won a Grammy for the Record of the Year. The sixth song on the CD is "Lowrider" recorded by the band "War" in 1975. This remarkable song has been featured in 14 movies which speaks to its attractions for this generation of kids. 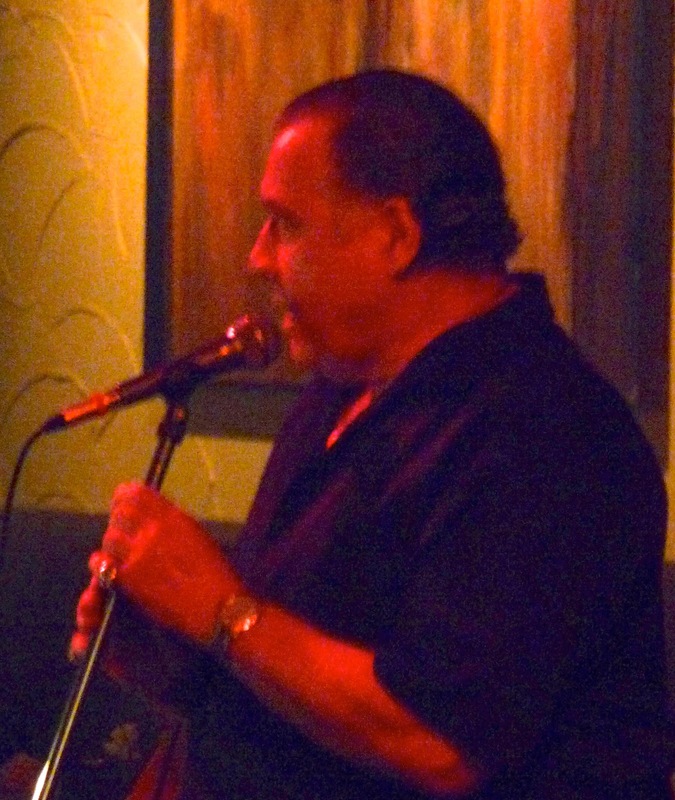 The seventh song is "Memphis Underground" that was recorded by jazz flutist Herbie Man in 1969. You can bet this song had special meaning for Tom in his musical development. To me this song is the combination of Rhythm and Blues with a big dose of "Cool"! The last song "Ode To Billy Joe" was written and recorded by Bobbie Gentry in 1967. Her recording received 8 Grammy nominations resulting in 3 wins and one win for the arranger, Jammie Haskell. And there you have it, 8 wonderful songs full of vivid memories for all of us to rediscover again and again. This wonderful album was perfectly produced, arranged and mixed by Steve Madaio and Tom Keenlyside with Tom Keenlyside on the Flute, all Keyboards, and programing. Steve Madaio on Trumpet. Also, Doug Stephenson on guitar on "The Lonely Bull", Born To Be Wild" and Lowrider. The great Brian Nova on guitar on "A Whiter Shade of Pale". Michale O'Neill on guitar on "Sympathy For The Devil", "Ode To Billy Joe" and "Memphis Underground". If you were around during the sixties and seventies, you absolutely need to get this CD which will be available right after the first of the year. Steve and Tom are just wonderful playing together on this CD. At times, Steve's Trumpet and Tom's Flute join together almost as one, leaving the listener to immerse himself in the magical sounds of Trumpet and Flute. I hope this is only the first of a series of CDs from Steve and Tom. In my opinion, this CD deserves Grammy recognition and I bet it will get a nomination or two. It's that good! You can decide how good this CD is for yourself because on Tuesday, April 16, Steve and Tom will be playing songs from their CD with the Coachella Valley Symphony. You need to call to get tickets quickly because this concert is nearly sold out. Call 760-360-2222 for tickets and details. I recently visited Three Sixty North in Palm Springs where Mike Costley performs every Thursday night. I heard Mike sing last season, and I was anxious to see if he was still singing as good as he was last year. What happened is exactly what happens every season I hear Mike sing. I am always reminded how good a singer he is! In addition, Mike is so much more than a great singer. He is an astute professional performer who never takes his trade for granted. When it comes to performing Mike Costley is a perfectionist and expects no less from anyone he selects to support his singing. The result is, no matter when you go to see and listen to Mike Costley, you will hear superb singing supported by musical excellence. Tonight's performance was a perfect example because Mike's usual drummer, Sal Frisaura, was unavailable and Mike asked my old friend, the always dependable Al Lopez, to sit in with him and his Guitar player, John Pagels. Al played Tenor Sax and flute and handled the Costley arrangements beautifully. I have heard a lot of great singers in the Desert but I have not heard any singer better than Mike Costley. There are several factors that put Mike Costley far above other singers. First, Mike has one of the strongest voices I have heard. His range is nothing short of remarkable. In addition, while a lot of singers simply try to copy the style of the great singers that came before them, Mike approaches every song he sings with his own style and interpretation. Mike sings the "Great American Standards" as good as any of the great singers of our time but his talent doesn't stop at singing great ballads. Mike also excels singing almost every Genre of music including The Blues, Country, Contemporary and good old Rock and Roll! you to get over to Three Sixty North on Thursday, you won't be disappointed. I had an interesting conversation with one of my favorite singers, Aubrey Tadman, about why it seems that CDs recorded "live" produce better recordings compared to recordings by the same musician that are cut in a "studio". I am sure many of you have purchased CDs recorded by an artist who you heard singing "live"in a club or restaurant. You loved the artist's performance but when you got home and listened to one of their recorded CDs, it just didn't have the exact effect on you as did the live performance, right? I would like to offer some reasons that cause this difference. First, music is art and in great music and works of art, producing a perfect reproduction of your subject or written notes in a song, can be great but seldom outstanding. Most time the beauty in art and music is found in the embodiment of emotion that the painter or singer adds to the subject. Also, sometimes slight imperfections in art and music can enhance the value to the listener or viewer. Life is not perfect but real beauty in life can be found when we uncover the emotional spirit of the creator, unveiling not only the perfect parts but also the slightly bruised parts. Consider the difference between two of the best singers of the Great American Songbook, Frank Sinatra and Vic Damone. Even Sinatra said more than once that Vic Damone had the best singing voice of anyone he had ever heard, and I have no argument with that. Damone has had a wonderful career, lots of fans and sold millions of records So what was missing in his recordings that put Sinatra on the top of the heap? I think the answer is Sinatra's ability to bring his life experiences both good and bad and inject them into his recordings. If anyone can record in a studio and instill emotional life into the cuts, Sinatra can; but to me, Sinatra's greatest recordings are the ones recorded live. They were not as perfect as his studio recordings. 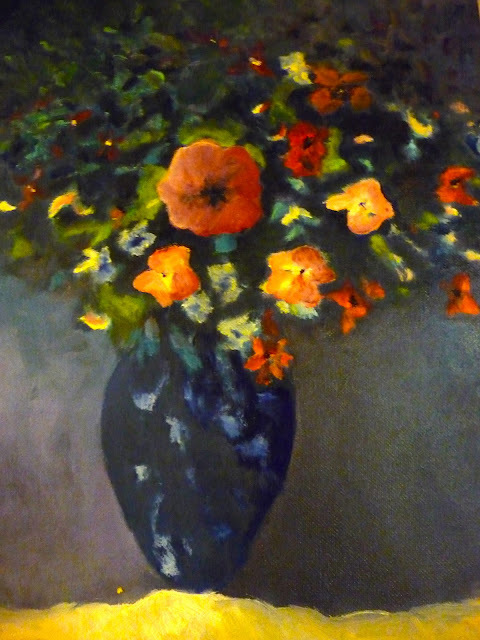 A Great performance like great art can sometimes create greater value with slight blemishes or imperfections. Listening audiences do not necessarily crave perfection but they do want emotional reality. The last factor in the mix is the emotional lift that all performers get from an appreciative audience. If you ever played or sung for a live audience, you know exactly what I mean. Another friend of mine, the great bassist, Jim De Julio played in Sinatra's band in Vegas for years. Jim shared this story with me. Just before the curtain was set to go up, Jim would look over to the side and he would see Sinatra standing there waiting to come on. According to Jim, he would almost know exactly when the curtain would rise because he could see Sinatra's blue eyes actually getting bigger and this was Jim's signal that Frank was ready to roll. As great as Sinatra was, he always became bigger than life on stage and I believe it made his live recordings just the greatest! I have attached a couple of YouTube recordings that I think support my point. The first is a live recording from Diana Krall from her "Live In Paris" CD. As you listen to this recording, I believe you can feel the emotion and love for great American Jazz coming straight from the audience to Diana and her band which impacted her performance. This is one of my all-time favorite "live" CDs and one of the reasons is the great supporting musicians that performed with her. 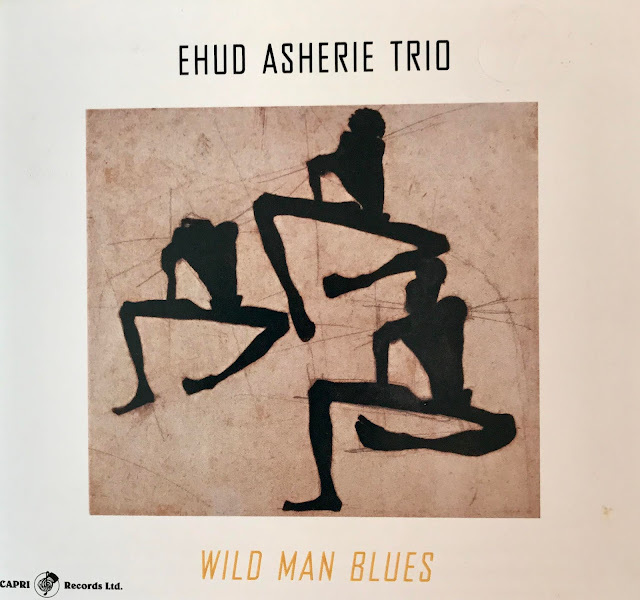 I don't think it is possible to put a better Jazz group together than this one with the great Jeff Hamilton on Drums, the one and only John Clayton on Bass and the marvelous Anthony Wilson on Guitar. The second YouTube is of Ella Fitzgerald singing "Mack The Knife" from her 1960 classic "Ella In Berlin" recording. It's far from perfect but just a brilliant recording!